For those of us who have worked in the chemicals industry in China the recent announcement that INEOS is pursuing legal action against Sinopec and its subsidiaries for for breach of contract and/or misuse of trade secrets in relation to the product acrylonitrile is not a big surprise. This can be looked upon as part of the natural evolution of more robust intellectual property rights in China – a land which now files more patents than any other country. This particular dispute is all about the chemical acrylonitrile (I mentioned ‘cyanide’ in the title above because hydrogen cyanide or HCN, one of the World’s most deadly chemicals, is a by-product of acrylonitrile manufacture and is also produced when it decomposes. However you do not need to worry too much about the smell of HCN because if you are able to smell it – you have just died!). Those outside of the chemical industry might therefore be surprised to hear that acrylonitrile is the key raw material in acrylic fibres (check that label in your sweater or sweat shirt). 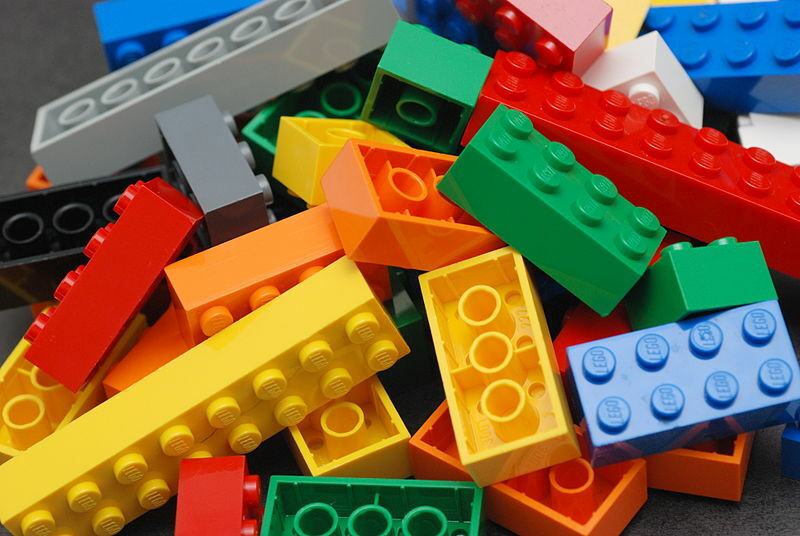 It is also the A in ABS plastics (acrylonitrile-butadiene-styrene) which in addition to making very tough car bumpers is the main component in Lego bricks, recorders (the musical variety) and, when ground down, produces some very vivid tattoo inks. Acrylonitrile is also an important chemical for the manufacture of water purification chemicals and carbon fibres (as polyacrylonitrile resin). As is often the case in chemistry it is possible to take very dangerous base products and combine them through chemical reactions to make new compounds which are harmless with sometimes very useful properties (consider common table salt – sodium chloride – half of which is chlorine, a pretty nasty substance that many of us use down our toilets to kill bugs). Acrylonitrile is therefore a very important chemical and INEOS is the leading international producer. This is due in large part because INEOS owns the worlds best technology to produce it (over 90% of the World’s production of this chemical is made by them or using technology licensed from them). The technology was originally developed by the Oil Company Sohio, in the USA and acquired by INEOS a few years ago. The company calculates that this business generates for them up to $500m per annum of profit and has a replacement value of $3 billion. In addition it supports around 5,000 direct and indirect jobs in the USA and Europe. INEOS has announced it is taking this intellectual property protection action via the Chinese courts and through arbitration in Sweden. The company claims that Sinopec is building unauthorized factories based on its acrylonitrile technology and that one plant has already been operating for a year. Sinopec has replied that its factories use technology it has developed in-house. I suspect INEOS would have preferred a less public solution but they believe they have no other option than to pursue this through the courts. Their CEO, Jim Ratcliff, has been quoted in the Wall Street Journal (28th March 2014) as saying “If they build a half-dozen copy plants, they’ll destroy the acrylonitrile business“. Likewise the senior management of Sinopec are probably horrified to have their company presented in the global press as if it were a third rate forger operating in the back streets of some provincial Chinese town. Sinopec is China’s leading refining company and one of the most powerful and well respected organisations in the country. It is also owned by the Government and it, or its subsidiaries, are often the partners of choice (or necessity) when foreign companies want to form joint ventures in China. Let us take a look at some of the risks and issues faced by the parties in this intellectual property dispute – they present an interesting case study for anyone considering licensing their own technology or forming a Joint Venture in China (or for that matter in any other developing country). How can such a dispute arise between two huge, well respected and technologically sophisticated organisations? When western companies want to do business or form joint ventures in developing companies they need to have something the local partner can not easily obtain elsewhere. This is usually their proprietary technology or know-how which is generally referred to as their ‘intellectual property’. This intellectual property can be licensed to the local company for a guaranteed financial payment or it can be used as a lever to get a share in a joint venture and thereby participate first-hand in a rapidly growing developing economy. The straight forward licensing approach needs to be carefully bound with legal agreements designed to limit the scope of the transfer (e.g. only one company may use the technology for a specific named manufacturing operation or in a single country or region). The agreement must be defensible in a court which has jurisdiction over the local company. This is not always so easy with a partner whose assets are in a country with poorly defined intellectual property legislation or where the courts are likely to be bias in favour of local manufacturers. Therefore there is usually a dispute arbitration clause which operates in a neutral country agreeable to both parties (e.g. Switzerland). Sometimes bonds or other some other guarantees are also required to be deposited with a neutral party to ensure compliance with the agreement. Due to the difficulties in policing compliance with a license agreement many western companies prefer to go the joint venture route which in addition to allowing them to build a presence in the new market also enables them to keep an eye on how their technology is being used. In a joint venture the western partner can also ensure that strict information and data security arrangements are applied to limit unauthorised access to the proprietary elements of the technology and the manufacturing ‘secrets’. Sometimes the manufacturing technology requires the use of a ‘special ingredient’ like a catalyst that only the western partner can produce. For example this special ingredient may be based on a proprietary menu the composition of which is not provided to the partner. This approach provides the licensor with an additional control over the application of their technology – which can only work when they supply the special ingredient. The price and supply conditions for such an ingredient are normally a key part of the negotiation between the partners. This approach provides the western partner with another risk management lever – if they suspect the local party is not abiding by the terms of the the technology license they can simply pull the plug on supplies of the special ingredient until the situation is appropriately resolved. Wherever possible a western company is well advised to try and utilise all of the above intellectual property risk management tools. This might mean forming a joint venture (and ensuring the western partner’s people are included in the management and on the board of directors), then entering into a technology license agreement with the newly formed joint venture and also signing a binding supply agreement with it to supply the ‘special unique ingredient’. In addition to withholding and proprietary information not needed to run the plant (like the composition of the special ingredient) the partners to the venture should be bound by confidentiality agreements. If we assume that similar risk control measures are applicable in the case now being pursued by INEOS how is it that such a serious dispute has arisen? One of the characteristics of developing nations is that they are doing just that, developing. Some nations which 60 years ago were considered to be among the World’s worst ‘copiers’ are now themselves leaders in the development and provision of hi-tech solutions. Consider for example the changing role of Japan during this period. Yesterdays copiers become tomorrow’s innovators. A company like Sinopec has a huge research and development function and is very active in developing and patenting its own ideas. Over the last 30 years they will have been trying to develop their own ways of producing important chemicals like acrylonitrile and the special ingredients (catalysts) needed for their efficient manufacture. Western companies will always want to maximise their financial return when they license their in-house technologies so there are tremendous incentives for local companies to find ways around foreign patents. Almost certainly this dispute will focus on whether the technology Sinopec and its subsidiaries claim to have developed is truly unique and independent of anything contained in the technology covered by their license from INEOS. I have described some of the key issues to keep in mind when deciding to license in China but things are seldom straight forward when doing business in this fascinating country and this case is no exception. You would imagine that based on its terrible experience with Sinopec the management of INEOS would want to avoid any further business dealings with such a ‘corrupt’ organisation. Interestingly in their press announcement INEOS mentioned that they have “otherwise excellent relationships with Sinopec and with China”. You bet! On February 20th 2014 INEOS announced the formation of a 50:50 joint venture in Nanjing, China, called INEOS YPC Phenol (Nanjing) Company Ltd. This joint venture will build the largest Phenol Acetone plant in China. It will have a total investment of approximately US$500 million and when complete in 2016 will generate sales revenue of US$800 million. This huge plant will produce 400,000 tonnes of phenol, 250,000 tonnes of acetone and have a capacity of 550,000 tonnes of cumene: products which are vital to China’s continuing growth aspirations. The partner in this joint venture is a company know locally as YPC, or to give its full name Sinopec Yangzi Petrochemical Company Limited. Yes this is a wholly owned subsidiary of Sinopec (which is also known under the name of China Petroleum and Chemical Corporation). In the west it is probably difficult to imagine getting married to a pretty bride and then one month later taking her to court for stealing your wallet! In China such things can happen. Interestingly, although INEOS is providing its proprietary technology to the joint venture to produce phenol the proprietary technology to manufacture cumene will come from Sinopec. Sinopec will also supply the local feedstocks needed for the new manufacturing joint venture. As I mentioned above Sinopec is not some third rate backstreet operator. The also have developed their own world class technology. Presumably both sides in the above venture will have carefully structured technology licensing agreements and other suitable risk ‘controls’ to prevent a recurrence of the current acrylonitrile saga. Nanjing, however, is not the only part of China in which INEOS is considering a joint venture. Once Bitten, Twice……….How about my other leg? Having been bitten once in China you would imagine that the last thing INEOS would consider would be to license its latest ‘world-beating’ technology to a land with such a dubious respect for foreign intellectual property rights. Surely this would simply be inviting a string of copycat plants to spring up a few decades down the line. In May 2013 INEOS announced that non-binding Heads of Terms had been agreed to build a 50:50 Joint Venture with Bohai Chemical Industry Group Corporation in Tianjin. And the product? Well its acrylonitrile of course – 260,000 tonnes of it. INEOS will supply the venture with production ‘know-how’ and its proprietary acrylonitrile process and catalyst technology (the ‘secret ingredient’ I mentioned above). Sinopec will be keen to eliminate this ‘forgery’ blemish from its credentials. It wants to be seen as a worthy international partner. This month the group announced that as china’s largest refiner it was willing to consider foreign capital as it restructures its profitable distribution business: It will allow upto 30% of the shares to be taken up by private capital. Clearly the government is very much behind this move as a way of developing a more ‘diversified ownership economy‘. Sinopec is considered to be one of the technological leaders in China. this was demonstrated by the announcement this week that they have made a breakthrough in the exploration and development of shale gas reserves in Chongqing. Therefore it would represent a huge loss of face to lose in a Intellectual Property Rights litigation case in the courts operated by its sole shareholder, the Chinese Government. China is a huge market and continues to grow. Any global chemicals company simply can not afford not to be present in the country. It must carefully select its partners, the structures in which it works with them and robustly design risk controls into the agreements and frameworks with its new partners. At the same time China needs foreign know-how to ensure its new businesses can be efficient on the global stage. For it to encourage this inward transfer of intellectual property it must have an efficient and just process to protect intellectual rights. This is especially so now that its own companies are developing their own world beating technologies. INEOS probably has taken a calculated risk in the timing of this intellectual property dispute with Sinopec. Five years ago it would have been unthinkable to take a government owned giant to court in Beijing for alleged copying of foreign technology. The climate is changing in China and although it may still be a tough call for a Chinese court to pronounce against one of its own ‘children’ the mere threat of this action may encourage all sides to reach a sensible out-of-court settlement. Perhaps this is where the Swedish arbitration process can help. This could provide the basis of a very Chinese solution to a very Chinese problem. Hi Chris – what is the date of this article (INEOS/Sinopec)? It’s very interesting. I wrote the article on 29th March 2014 so most of the information used would have been from just before that date. Hope this helps.